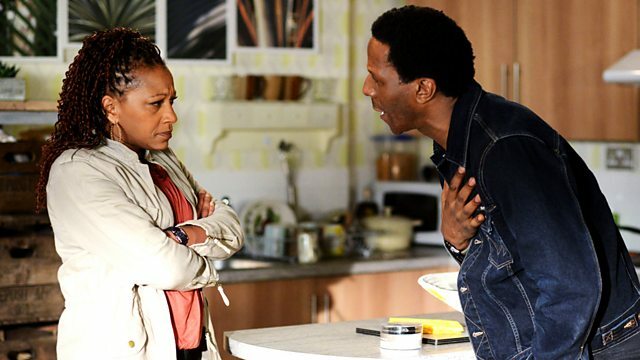 Kirsty finds a way to get herself out of a tricky situation but will Max realise what she is up to? After Lauren's recent antics, Tanya is determined she is punished. Kirsty attempts to talk Max out of the private scan. Seeing Kirsty looking distressed, Tanya’s genuinely concerned and asks if everything’s alright. Kirsty cancels the scan, claiming there was no record of their booking. Max takes Kirsty to the clinic; she has a panic attack and flees. Max learns that Kirsty cancelled the scan. Emotional, Kirsty’s on the verge of confessing all but Max blames himself for pushing her into the scan. Max reassures Kirsty, her and baby Branning are everything he wants. Tanya repays the money Dot gave Lauren and makes Lauren work at the launderette with Cora in recompense. Lauren eventually starts working hard, impressing Cora. Lauren’s on the verge of opening up to Cora when Dot and Poppy arrive. Lauren apologises to Dot. Cora assures Tanya that Lauren did well but later realises there’s £20 missing from her purse. Lauren’s bought a bottle of wine and drinks it from the bottle. Sam introduces himself to Max. Ava persuades Dexter to come to the Vic but, seeing Sam, Dexter walks out. Ava tells Sam they don’t want him around and Cora’s adamant Dexter won’t fall for Sam’s charm. Later, Sam confronts Ava, convinced she pushed him away because Cora abandoned her as a baby. Ava accuses Sam of not trying hard enough to stay. They nearly kiss then Ava tells Sam to go. Reverend Stevens arranges to visit Dot next Tuesday with his curate, Miranda, to assess Dot’s suitability for the role of church warden. Dot fears Miranda doesn’t like her so Poppy helps Dot work on her people skills. Roxy’s bemused when Dot praises her. Unfortunately, Dots newfound tact deserts her when faced with Cora. Instead of moping over Ray, Kim plans a wardrobe overhaul and makeover but eventually decides against it – why mess with perfection?